Just as the story, gameplay and overall tone evolves as the Mass Effect Trilogy progresses, so too does the music. Jack Wall reprises his role in Mass Effect 2, bringing us a soundtrack that – unlike the game – stands as a worthy successor to the first. 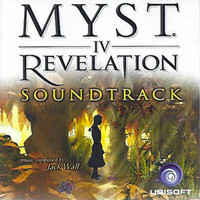 After introducing Jack Wall last week it would be insanity not to follow up with another of his scores, and perhaps my favourite game soundtrack of all time. Fitting, since it’s for one of the greatest games ever created. I am referring, of course, to Mass Effect.